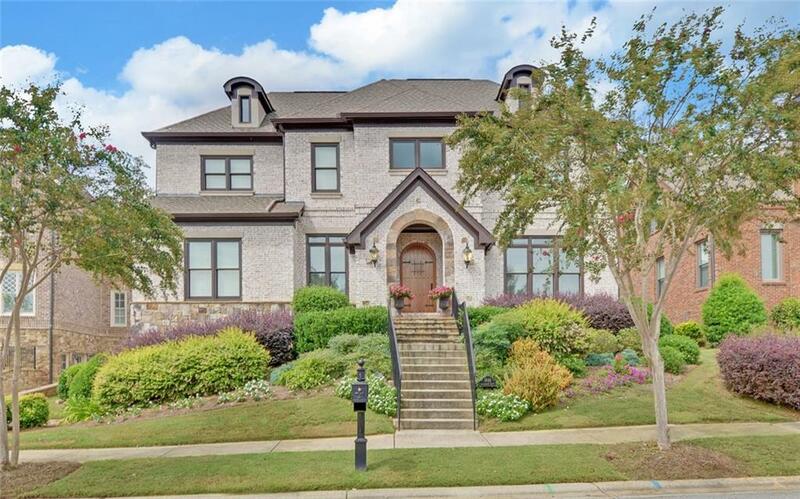 One of a kind European Estate Manor Home nestled in Oxley Village, Chateau Elan's most sought-after phase! Old World Charmer with Elegant Master Retreat + Private Suite on main. Soaring Ceilings, Extensive Trim, Pella Windows & Hardwood Floors! Chef's kitchen with 2 Working & Serving Islands. Upgraded Appliances, Gorgeous Cabinetry, opens to Spacious Family Room with Coffered Ceiling/Stone Fireplace. Unbelievable Outdoor Living! Brick Fireplace/Covered Veranda & Sunny Patio! 3-bay garage w/upper bonus area. Walk to Sports Center & neighborhood pub! Low maint. & easy living! for more information and photos! Contact me to schedule a showing of this lovely home!